Soon it’ll be Thanksgiving!! Thanksgiving is my favorite holiday – family and food. Can’t get any better than that! At Cut it Up Challenge Blog, we’re celebrating the first Thanksgiving. Projects must contain images of pilgrims or Native Americans. I chose Pocahontas! I was a member of the Designs on Cloud 9 design team. The company isn’t in business any longer, but they sure had some really gorgeous svg files. I used two DC9 files, Pocahontas and Dreamcatcher, to make my scrapbook layout. Craftin’ Desert Divas is our generous sponsor this time around. They’re offering one digi image to our winner! 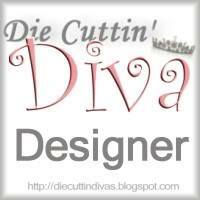 Come on over to Cut it Up, check out the inspiration there, and link up your own. Happy Thanksgiving! This entry was posted in Paper Crafting and tagged Cut It Up Design Team, Designs on Cloud 9 Design Team, fall, layout, scrapbooking, Thanksgiving. Bookmark the permalink. What a Fantastic Layout Evelyn! Love the dream catcher… 🙂 Have a great weekend! What a gorgeous layout and just perfect for your granddaughter. Love these cuts; Pocahontas is so pretty! This will be the perfect showcase for your pics!